Yes, Italy is rich with history, but "Il Bel Paese" is today composed of a vast array of cultures and communities, foods and colors, aromas and breathtaking landscapes. On myitalianlanguageschools.com we invite you to discover the Italian language schools we offer and to choose the one that best fits your lifestyle, your travel style, and your learning style. 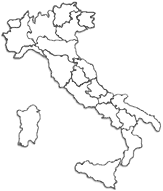 You can go to Rome, Florence, Milan, "bella Sicily", to mysterious Sardinia or the myriad of other unique regions of Italy. You will find our schools not only in bustling, international cities, but also mid-size and small towns. You will find extraordinary spots in Italy waiting to be discovered through the study of its outstanding language, culture, food, and arts. Each school offers you a unique opportunity to explore Italy while learning from its excellent faculty. Myitalianlanguageschools.com divides the Italian language schools by their geographic position, their particular features, and the types of supplementary courses offered. You have all the information you need to choose your school of Italian language and culture. In Italy, where else? We wish you happy studies, a great vacation, and a beautiful Italian experience! Enjoy Italian!